A man from Pakistan has just gone viral on the Internet. We are talking about Muhammad Shahid Nazir who belongs to a small area of Pattoki,Pakistan. Muhammad Shahid Nazir went to UK to complete his studies and to improve his lifestyle. 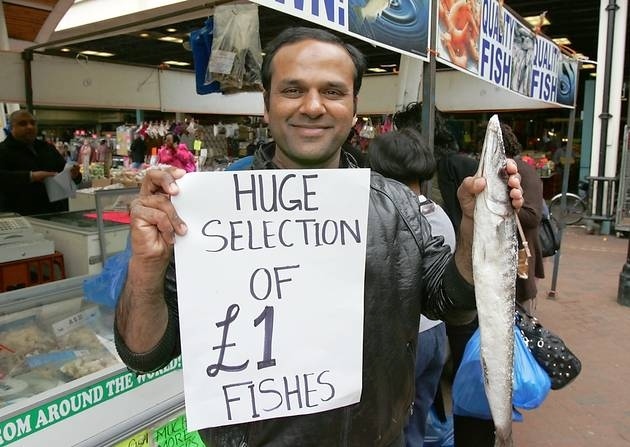 He is better known as”£1 Fish Man”. Shahid is currently studying in UK and working as a fishmonger in Queens Market,Upton Park,London. He became famous locally for his song”£1 A Fish”. His first video was uploaded on his Official Youtube channel eight months ago. But now Shahid has launched his video “£1 A Fish” with Warner Music Group. Yeah! Thats What We Pakistanis Can DO.. Feeling the POWER!!!!!!!! HEHE..